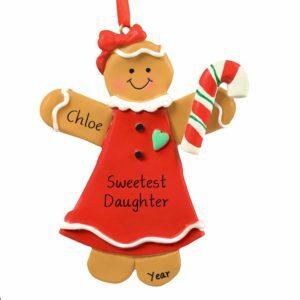 Our Gingerbread ornaments are the perfect keepsake for your Christmas traditions! 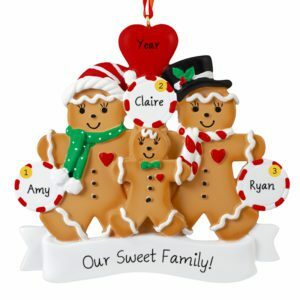 Our personalized gingerbread Christmas tree ornaments look almost good enough to eat! 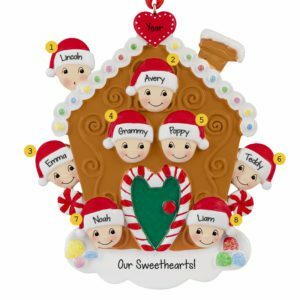 Gingerbread decorations are a very popular theme year after year. Many customers use these tasty decorations as stocking stuffers or keepsakes commemorating a neighborhood cookie exchange. 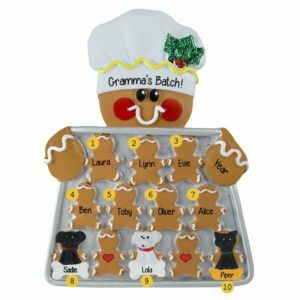 Purchase a customized gingerbread woman and have it personalized with the sentiment “Cookie in the oven” along with a due date for a novel way to share the good news about a baby on the way. 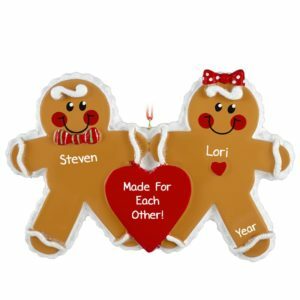 Many couples enjoy our gingerbread couple ornaments since they feature the sentiment “Cut out for each other”. 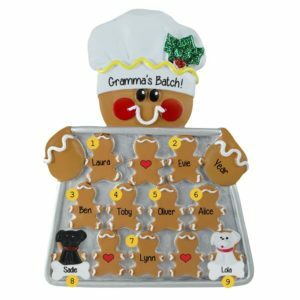 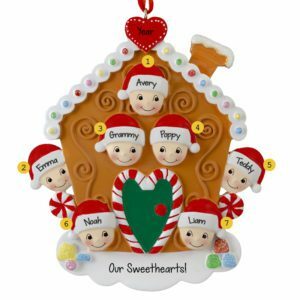 Grandmothers love to receive customized gingerbread holiday decorations featuring the names of all their sweet grandkids. Personalized Ornaments For You will hand personalize each decoration according to your specifications for free! Browse our selection now to find an affordable gingerbread holiday decoration for your Christmas event.